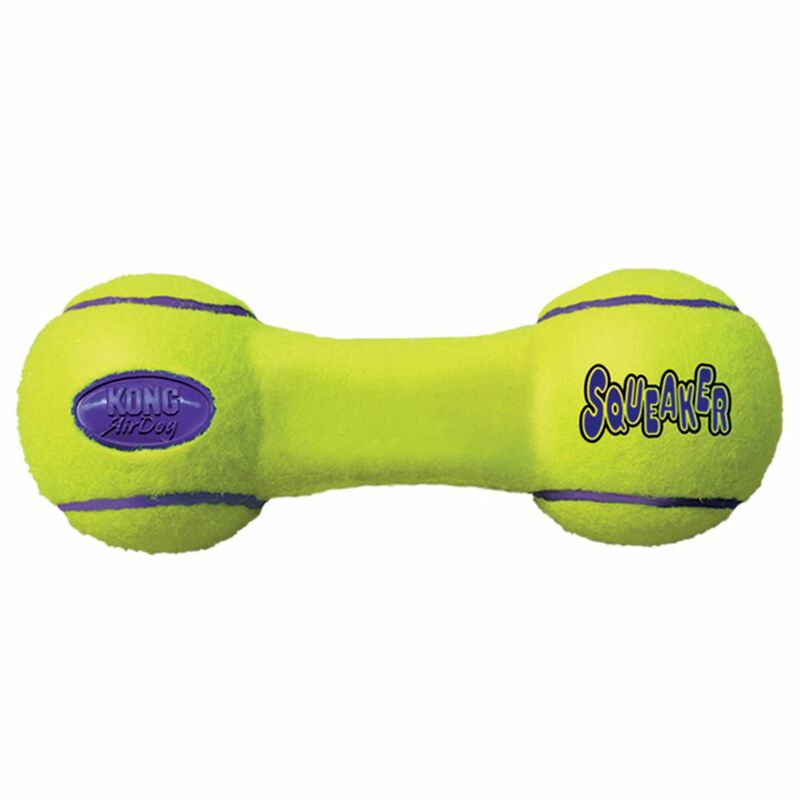 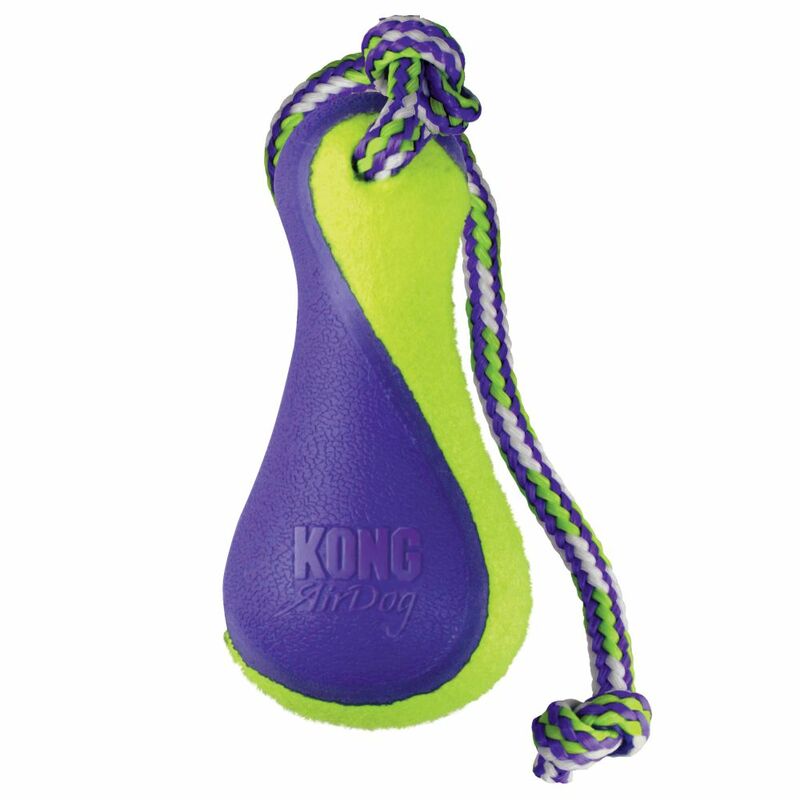 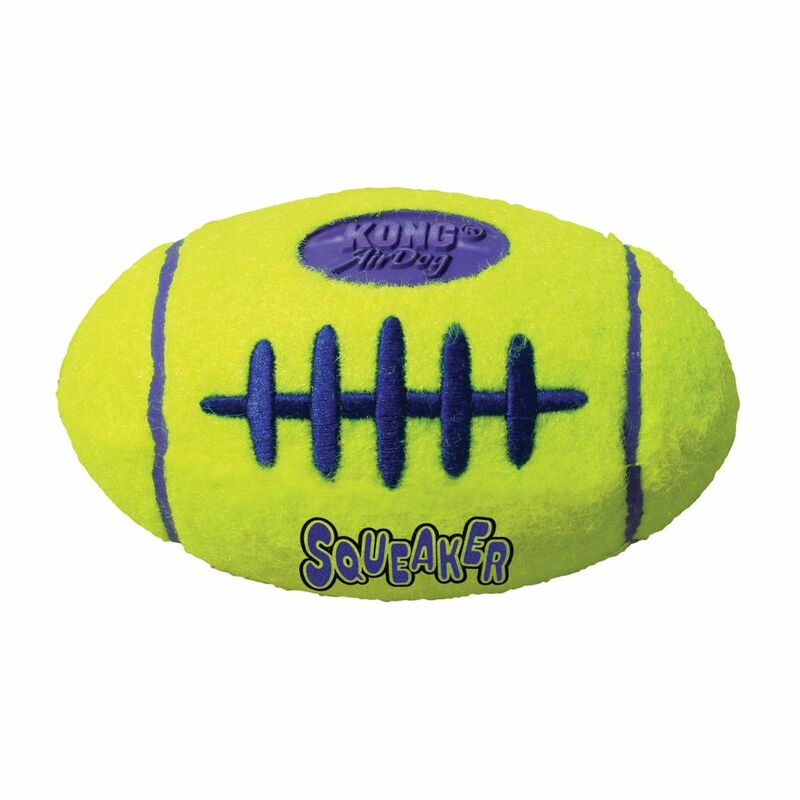 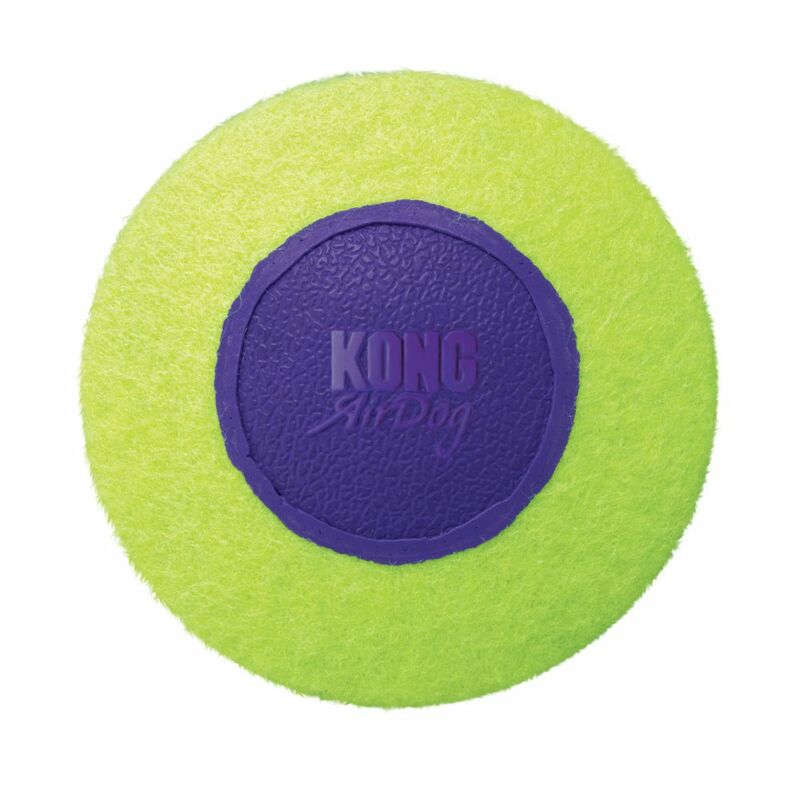 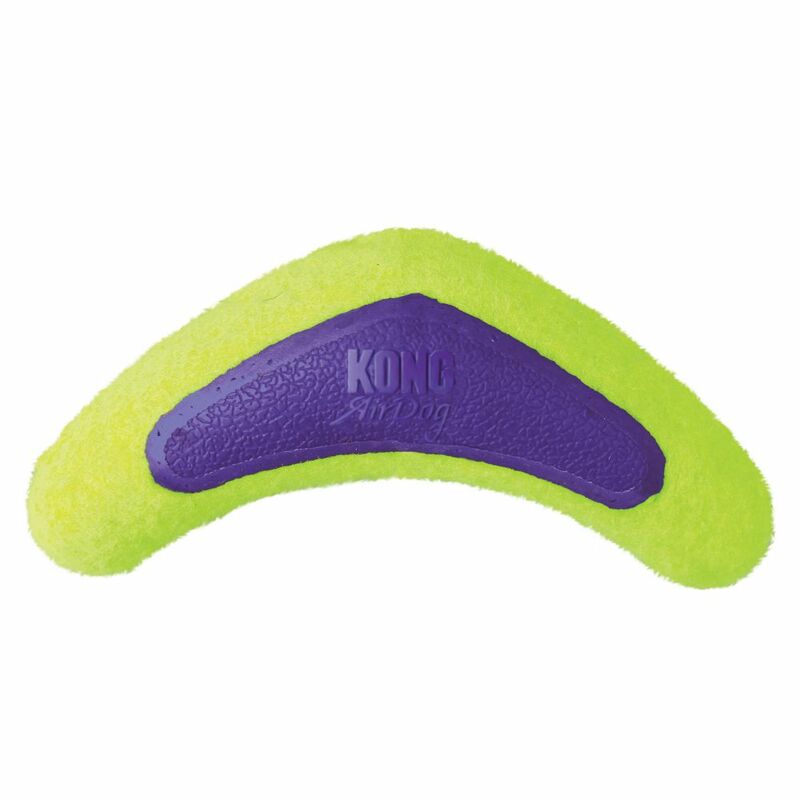 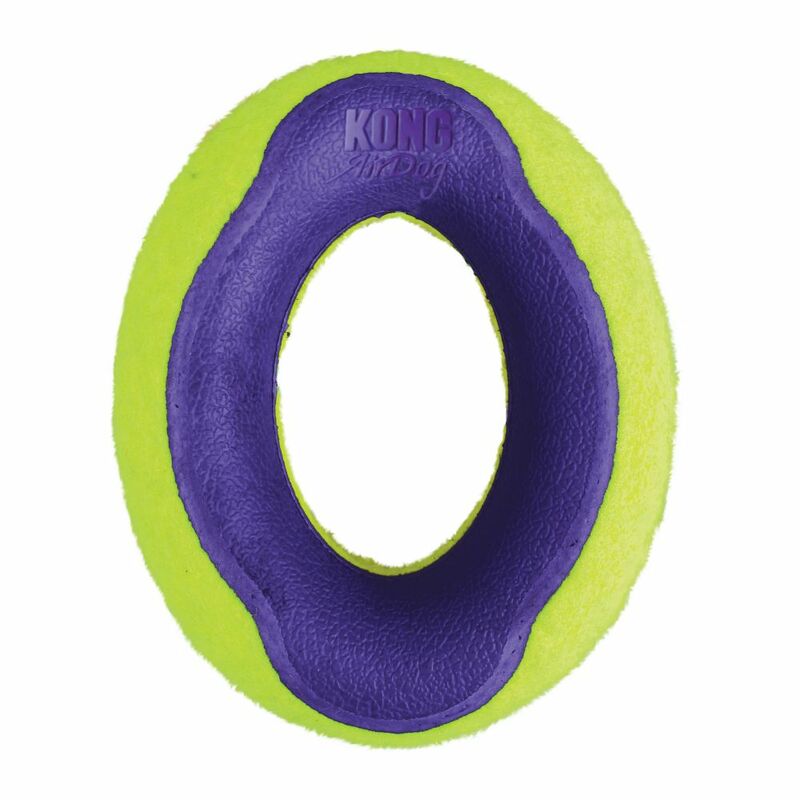 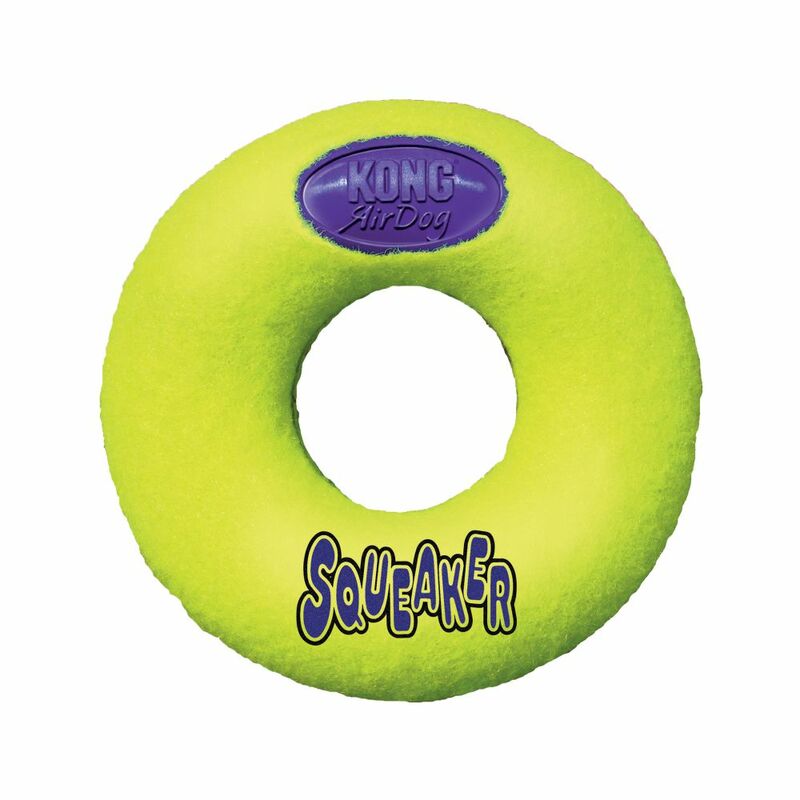 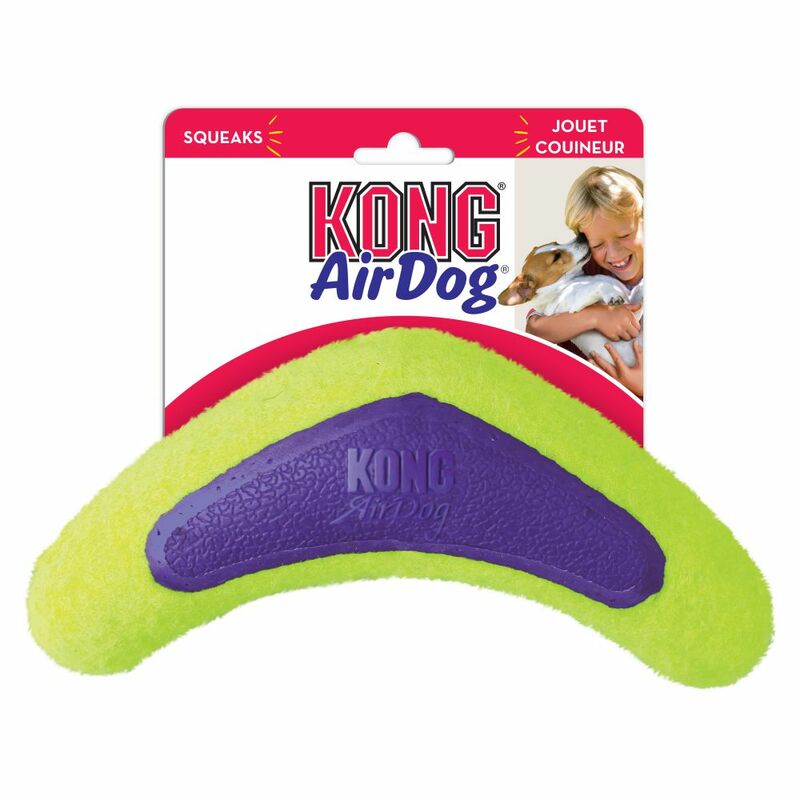 KONG AirDog combines two classic dog toys -the tennis ball and the squeaker-to create the perfect fetch toy. 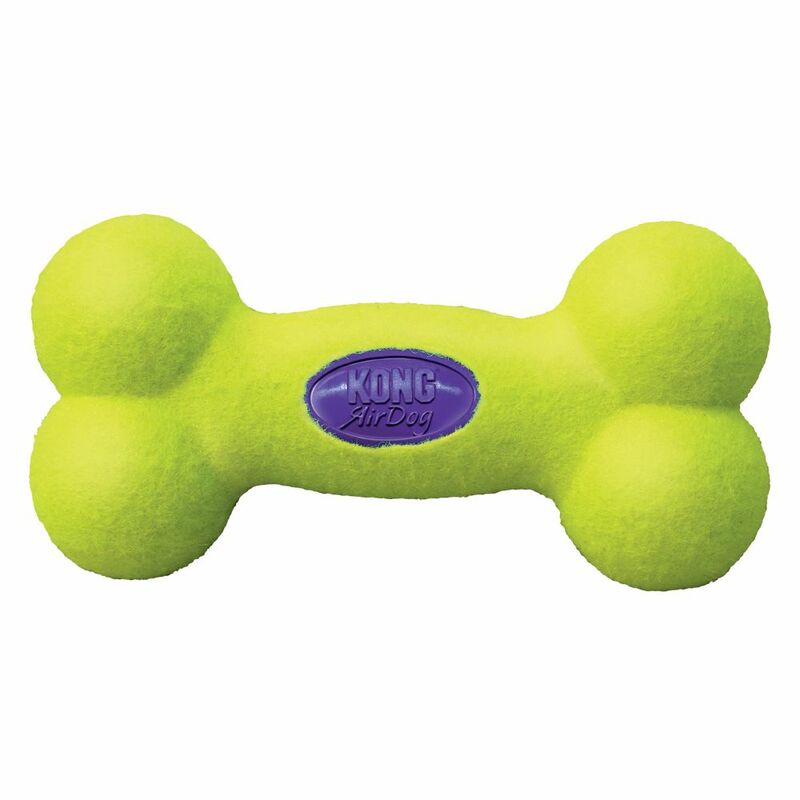 Now available in dual materials for added strength, the non-abrasive, high-quality material will not wear down dogs’ teeth. 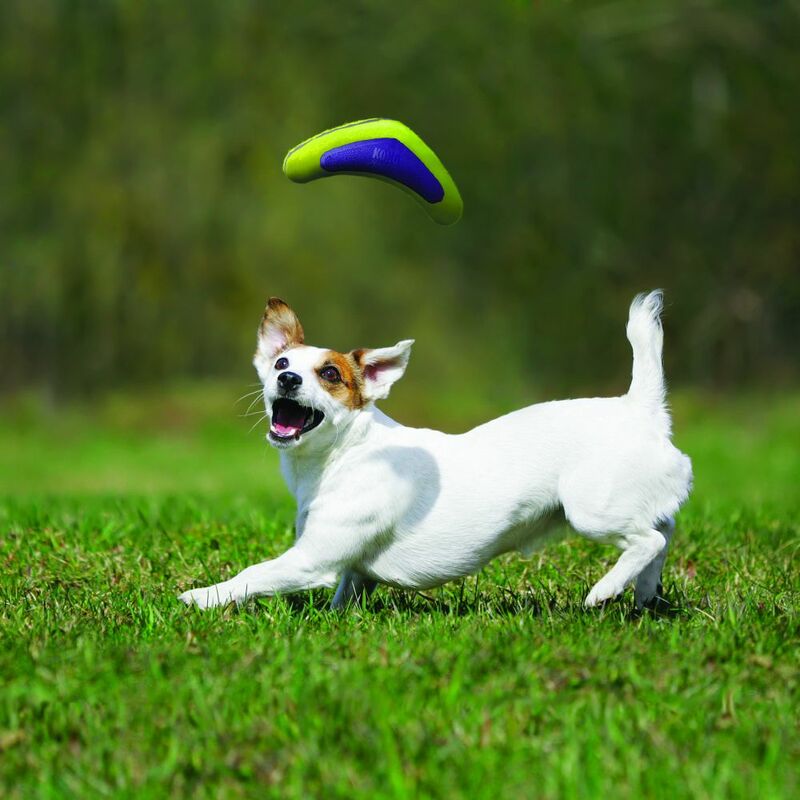 Find your dog’s favorite AirDog shape and let the games begin.